If you would like to visit the model home at Erasmuslaan as a group, you can book a group tour. Gerrit Rietveld also designed houses on Erasmuslaan, around the corner from the Rietveld Schröder House. Here, he applied the principles of functionalist architecture, called Nieuwe Bouwen in Dutch, emphasising space, light and airiness instead of heavy blocks of stone. You can visit the model home at Erasmuslaan 9 with groups of up to 15 people. Tours are conducted by an expert guide, who will take you through the house, telling you everything about its design and Rietveld's architectural style. It's also a journey back in time, because the interior is completely furnished with original 1930s furniture. If you would like to visit with more than 15 people, please send an email to rondleidingen@centraalmuseum.nl to request an individual quotation. The maximum group size is 15 people. Guided tours can be arranged at your request, Tuesday through Sunday, between 11 am and 4 pm. Tours are offered in Dutch, English and German. Tours are around one hour long. The cost is €85 per group. 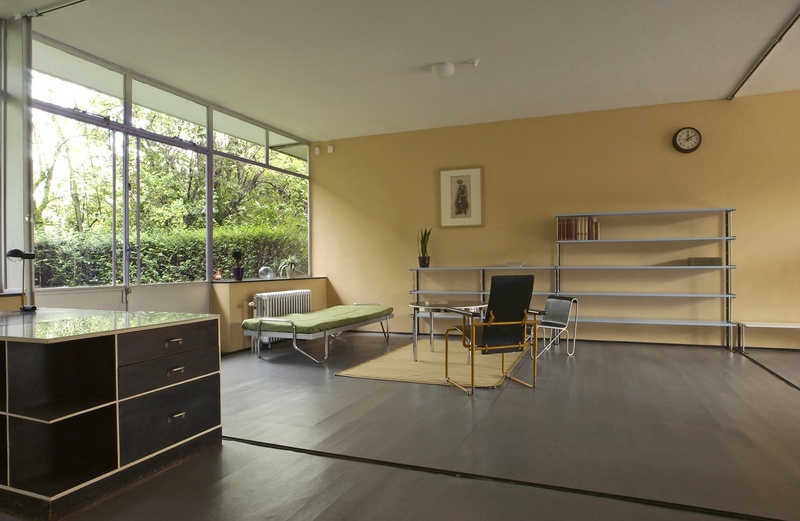 Guided tours of the Rietveld Schröder House are very popular. To avoid disappointment, be sure to book your tour at least two weeks in advance. Bookings can be changed or cancelled at no charge up to one week in advance. Unfortunately, the Erasmuslaan model house is not accessible to wheelchairs, prams and buggies. For inquiries, please send an email to rondleidingen@centraalmuseum.nl or call +31 (0)30-2362 393 (Tuesday through Friday, 10 am – 1 pm).